​Chelsea’s striker situation is reportedly close to being resolved, with Gonzalo Higuain’s arrival set to be finalised after Milan agree a deal to sign Krzysztof Piatek from Genoa. In what has developed as a merry-go-round of attacking stars centred on developments at Stamford Bridge, Argentine star ​Higuain is said to be inching ever closer to completing a loan move to Maurizio Sarri’s side from parent club Juventus. 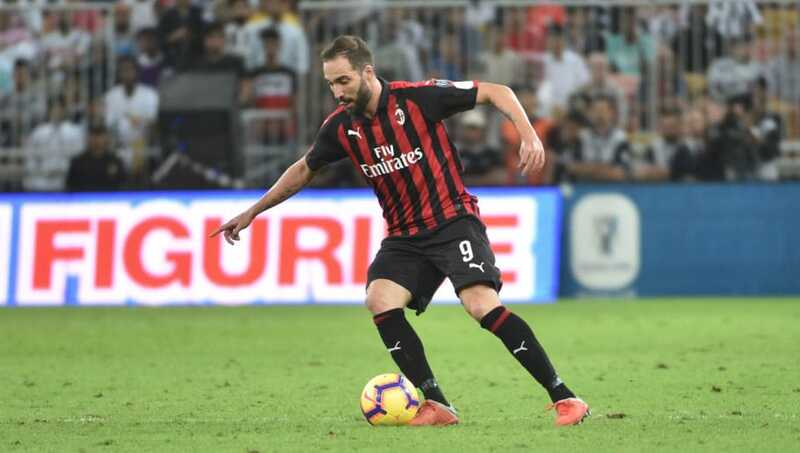 #Higuain move to #cfc now just waiting on AC Milan finalising #Piatek.Atletico Madrid have agreed terms over #Morata loan. There are reports it includes an option to buy worth £48.6m. Including loan fee,that would mean Chelsea basically get most, if not all, of their money back. According to Evening Standard reporter ​Simon Johnson, ​Higuain’s impending arrival in west London is now subject to ​Milan finalising the signing of Krzysztof Piatek from Genoa. And according to ​the Guardian, they have seemingly done just that, after agreeing a £30m deal for the Genoa star. The Polish forward will replace Higuain at the San Siro, with the Argentine cutting his loan deal short. In a further move which would complete the domino effect that is unfolding in ​Chelsea’s striking ranks, it is also suggested that current Blues attacker ​Alvaro Morata is close to sealing his exit from the Bridge, after ​Atletico Madrid agreed to sign the Spaniard on loan. The Spanish side’s loan deal to take Morata to the Wanda Metropolitano apparently includes an option to buy at the end of the season for a fee of £48.6m. Such a deal would see Chelsea recoup much of the fee that they invested to bring Morata to the Premier League in a then club record deal from Atletico’s local rivals ​Real Madrid in 2017. Meanwhile, Higuain’s likely arrival at Stamford Bridge could provide the missing piece for Maurizio Sarri’s attack. The 31-year-old enjoyed a hugely successful spell under the Chelsea boss during their time at ​Napoli, and would provide the necessary reinforcement for a Blues frontline which once again lacked any cutting edge during the 2-0 defeat to ​Arsenal on Saturday.